I haven’t seen it in any tourist guide; actually, I was next to it and almost missed it. 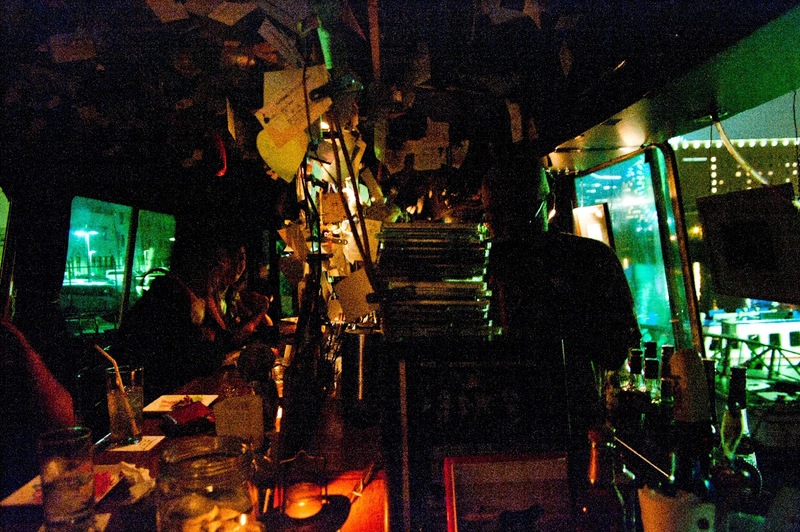 It is an old bus that has been converted into a bar, with a wooden full-size counter, jazz and soundtrack music and a sui generis owner/bartender. In Yokohama, very close to the red brick buildings.